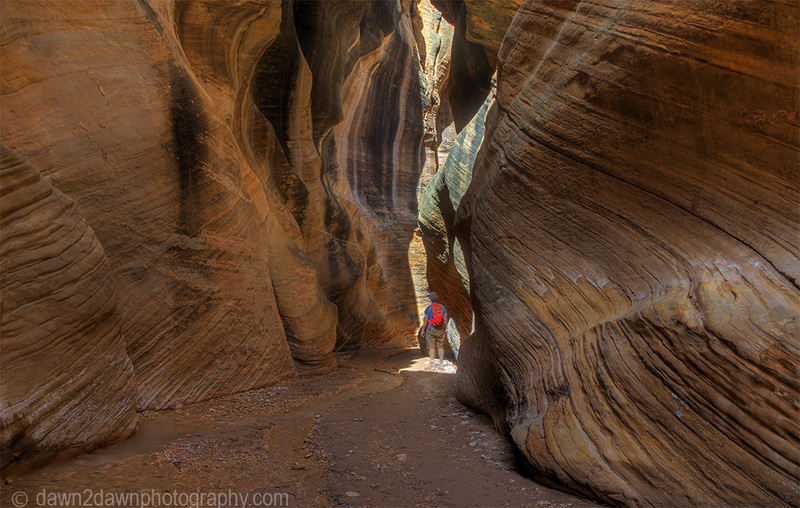 Willis Creek is a slot canyon that almost anyone can enjoy. 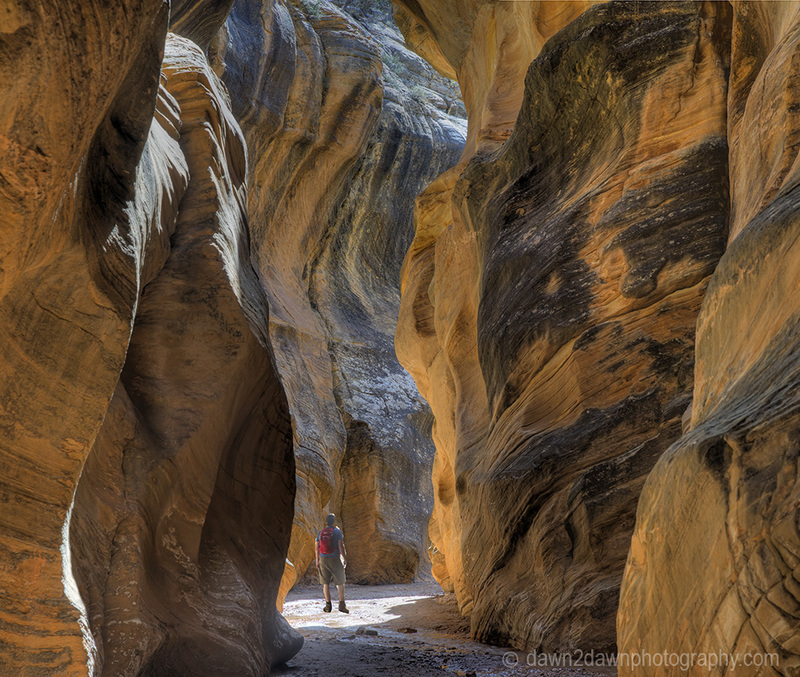 It’s located in a remote area of the Grand Staircase Escalante National Monument in Southern Utah. It is a place where peace and solitude are easily experienced. Hopefully this beautiful area will remain protected. There is currently a push by The Department Of The Interior to reduce the size of the GSENM and allow gas, oil and mining exploration. These industries have a haphazard track record when it comes to protecting the environment they are compromising. 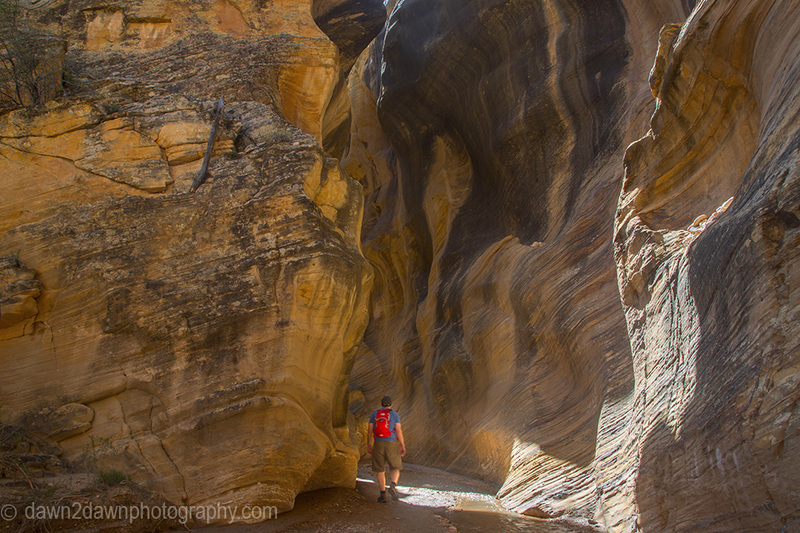 Willis Creek is one of those few gems where pristine waters trickle through the brilliant Navajo Sandstone walls that the creek carved over millions of years. It would be a shame if the waters were muddied in an instant. I noticed some children playing happily in the waters, waters that could be disturbed if proposed changes to the monument are enacted. Think I should plan a motorcycle trip to the USA. What fantastic rock formation. Great photographs. Thanks George, stop on by on your motorcycle trip! 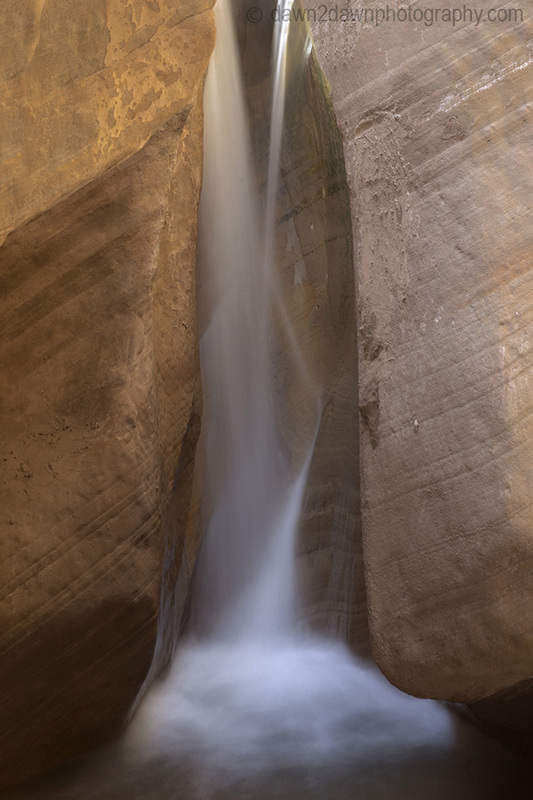 Such organic shapes – fluid, like the water that shaped them. Having a human subject well illustrates the scale of this place! Love it, 🙂 I never would have guessed! Incredible captures of the rock formation!